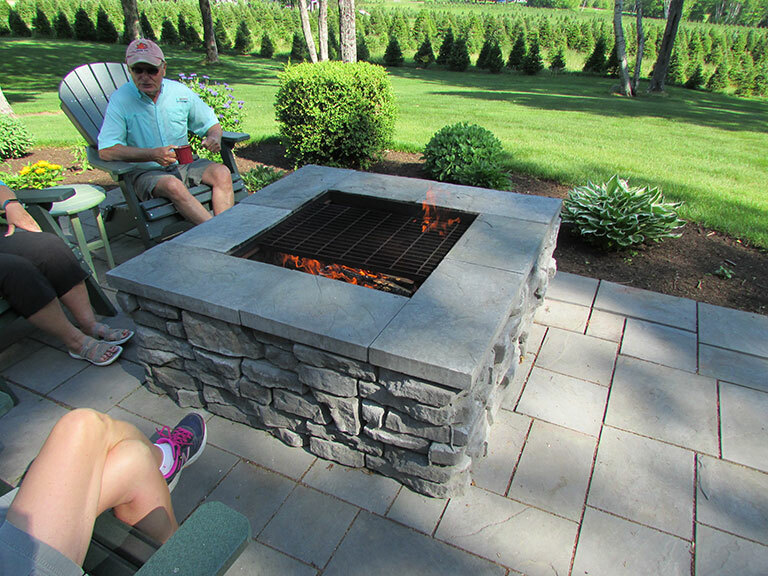 As an added outdoor entertainment feature, Redi-Rock® of Central Maine manufactures and sells an outdoor fire pit. With a beautiful natural stone appearance, the "WHETSTONE" wood burning fire pit is perfect for any outdoor occasion! 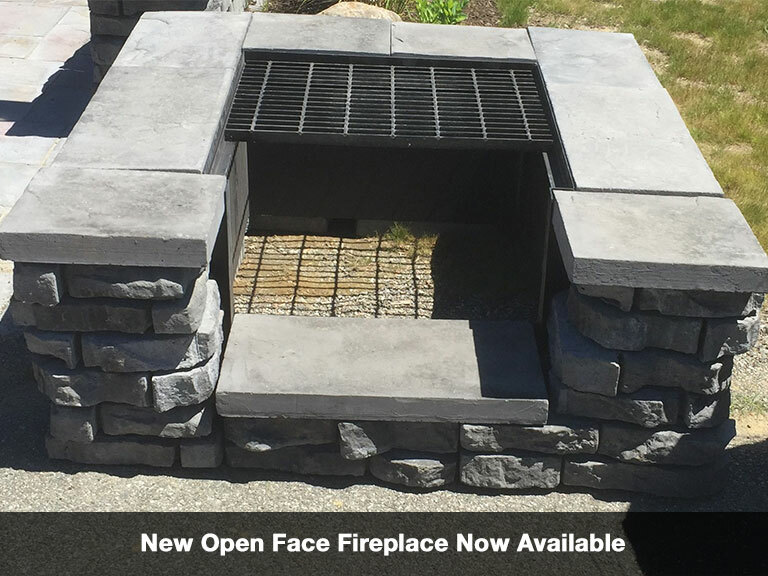 These fire pits will be a stunning addition to your yard or patio and can be easily assemble by the Do-It-Yourselfer. Each kit comes with all the blocks necessary to build a square 5' x 5' fire pit. They are available for sale at our Sangerville location or at many landscaping and stone centers throughout Maine. View the "Building a Redi-Scapes Fire Pit" video below to learn how you can build one for your own backyard. For long lasting durability, the "Whetstone" fire pit blocks are made using 7000 PSI wet cast ready mix concrete. The "WHETSTONE" fire pit is a purchase that you will enjoy for years to come.